This week, I had to make a last-minute visit to Utah to do some work on the collection of our partner, Dell Loy Hansen. I try to make a regular visit every few months to work on organizing his collection, but this was one of the shorter trips, about 24 hours. For those of you who may not know what this entails, Mr. Hansen has been putting together a collection of U.S. coins over the last two years with the goal of eclipsing the legendary collection of Louis Eliasberg. Mr. Eliasberg worked over a lifetime to acquire an example of every available coin from 1792-1964. 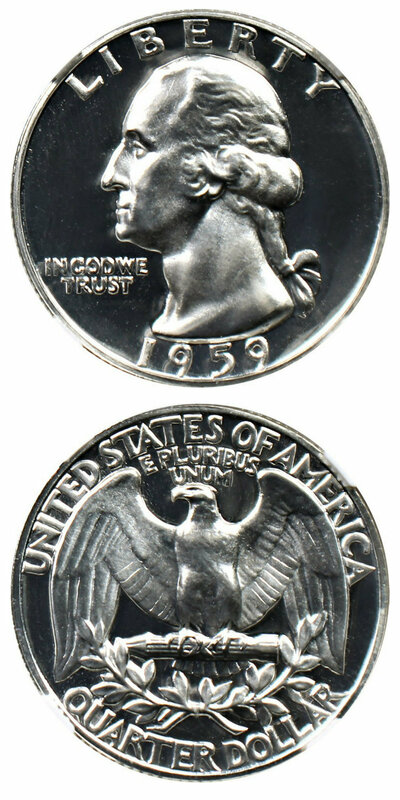 As many of you know, it is viewed as the only complete collection of U.S. coins ever privately assembled. Well, Mr. Hansen decided to tackle the same goal but to extend the collection to the present. The all-encompassing venture to surpass Eliasberg has been a massive undertaking. I’ve personally had the honor of working with Mr. Hansen for the past two years on this goal and since joining with him at DLRC, I’ve had the further task of curating the collection. While curating a collection that consists of over 10,000 coins is an fulfilling mission, it is also quite an honor. Mike Coari and I have made many trips to Utah to work on this management, but this time I had to go solo. Now I finally have all the coins in order. It doesn’t sound like much, but I’ve spent approximately two weeks in a vault organizing coins in 2018. Everything from Half Cents to Saint-Gaudens to Modern Commemoratives. While some people might call us crazy (maybe just my wife? ), I can’t explain how much I have learned about coins of all denominations and metals by studying so many of Mr. Hansen's collection. I’ve also met many new friends and customers along the way as we’ve acquired coins from many different sources to pursue our goal. For a small glimpse into part of the collection, you can view the PCGS Registry Set here. This set alone is comprised of 3,676 coins, but no proof issues. Those are reflected elsewhere. To have been able to do this in two years is a rather amazing feat, and it’s been a lot of fun! We hope to have some displays at upcoming major shows and plan on sharing parts of this outstanding accomplishment! While we haven’t finalized the display for the upcoming ANA show, we are hard at work coordinating it and hope to get the opportunity to visit with you there and display some of these amazing pieces. Thanks again for reading and we hope to get the opportunity to work with you in the coming weeks! Why we love it: An underrated Civil War Era 3-Cent Silver piece with nearly blemish-free surfaces that are covered in incredible rainbow toning creating perfect eye appeal. The surfaces of this amazing gem appear semi-prooflike and feature pretty light blue and light green coloring around the periphery with a lovely rose-gold center. This Three Cent Silver issue comes from a low mintage of just 12,000 coins struck. Value: The most recent sales price for this date and grade was in January in a Legend Auction where the item reached $6,169! The PCGS Price Guide sits at $7,500, but it is available in this week’s auction with reserve set reasonably at just $6,250! That is solid $1,250 discount off the PCGS Price Guide value for this beautifully toned, immaculate gem example of this Civil War Date 3-Cent Silver even with CAC approval! 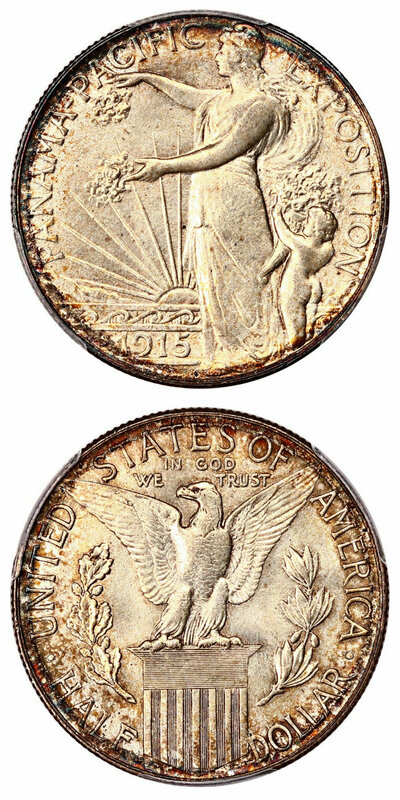 Why we love it: An incredibly rare key date from the Standing Liberty Quarter series with Full Head. This is one of our favorite dates in the entire series as it simply never appears with the fully struck headpiece. This piece features a subtle golden tint along with strong luster. This Key Date Standing Liberty Quarter comes from a moderately low mintage of just 396,000 coins struck with less than 20 pieces graded by PCGS as Full-Head overall! Value: This pristine, lustrous, lightly toned 63FH is available to you in this week’s auction with the reserve set at just $47,500! As this coin features so few blemishes compared to what is expected from a 63 with such incredible overall eye appeal, we find this to be a very fair value for this key date that is especially rare and desirable in Full Head. The last appearance of a similarly graded item in a public auction dates all the way back to 2005! Why we love it: A registry-quality gem example of this scarce Large Date, Doubled Die Obverse Lincoln Cent variety. Immaculate surfaces with bright red-brown coloring and lovely highlights of magenta tones on the obverse create premium eye appeal. This piece is tied for the finest known in existence graded by PCGS with the Red-Brown color designation. Value: The PCGS Price Guide sits at $12,500, but it is available in this week’s auction with reserve set at the low price of just $9,500! 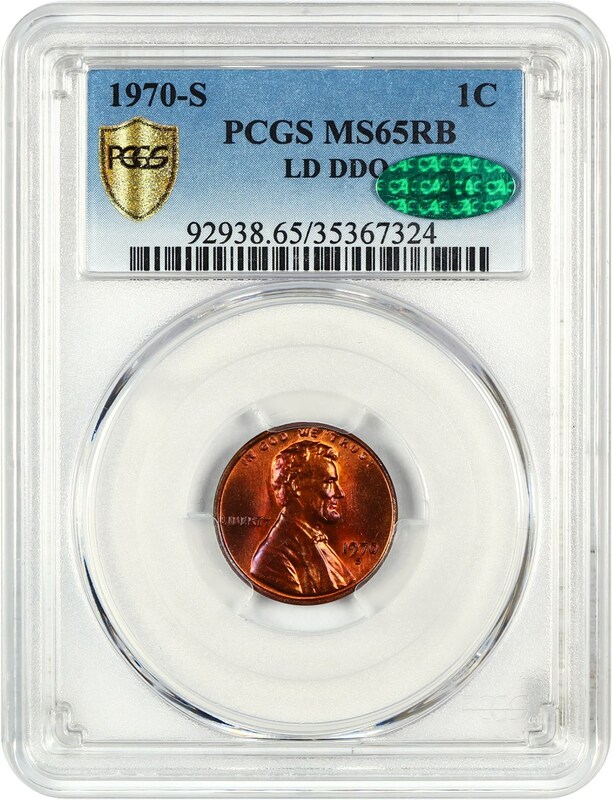 That is a solid discount of $3,000 off the PCGS Price Guide value for this gorgeously toned gem example of this DDO Lincoln Cent with CAC approval! Why we love it: A gem proof Morgan Dollar with strong cameo surfaces and a golden hue throughout the coin. The fields are smooth and richly toned and complimented beautifully by its frosty white devices creating ideal eye appeal for the issue. This Proof Morgan Dollar comes from an extremely low mintage of just 875 coins struck in which there are only four others graded finer by PCGS with Cameo surfaces. Value: The PCGS Price Guide sits at $12,500, but it is available for purchase at the low price of just $9,250 via Make Offer! That is a generous discount of $3,250 off the PCGS Price Guide value for this stunning cameo gem example of this scarce proof Morgan Dollar! Why we love it: This Commemorative piece was issued in San Francisco to celebrate the opening of the Panama Canal. It was designed by Charles E. Barber (obverse) and George T. Morgan (reverse) and was the first Commemorative to carry the motto “In God We Trust.” This ultra-gem example displays rich rim toning and strong luster making the eye appeal truly captivating. This popular Commemorative issue comes from a mintage of just 27,134 coins struck in which there are only four others graded finer by PCGS. Value: The CPG value for this coin is set at $5,000 with the PCGS Price Guide a bit higher at a $6,500. It is available in this week’s auction with the reserve set below the CPG Value at $4,750. That is a reasonable price for this nicely rim toned ultra-gem example of this very desirable commemorative piece! 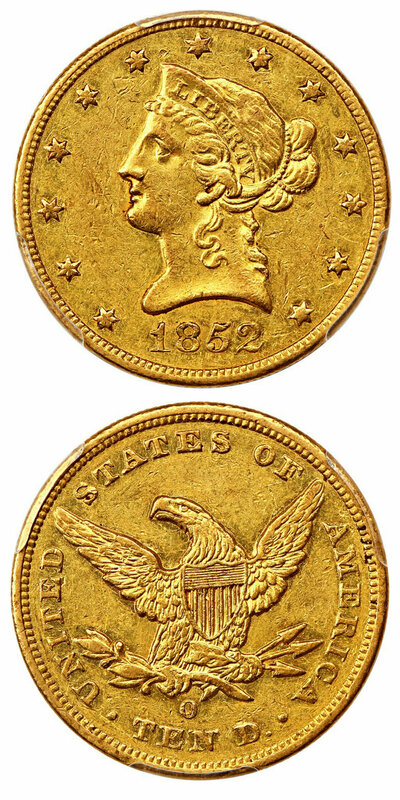 Why we love it: A pretty gem example of this much better date Gold Dollar. The coloring is intriguing as it displays yellow-gold around the rim but within that you’ll see extraordinary orange-peel tones making this coin quite unique. This scarce Gold Dollar issue comes from an incredibly low mintage of just 5,200 coins struck in which there are only four others graded finer by PCGS. Value: The CPG lists this piece at $7,500 with the PCGS Price Guide at $6,900, and it is available for purchase via Make Offer for just $6,500. An incredible value for this orange-peel toned gem example of this tough date Gold Dollar! Why we love it: This impressively scarce and underrated New Orleans Mint Liberty Gold Eagle that is basically impossible to acquire at the Mint State level is tied with three others as the finest graded example of this date with CAC-approval. It possesses the traits of an AU58. Its originality, pretty yellow color, and lack of any serious wear give it ideal eye appeal for the grade. This O-Mint Ten Dollar Gold issue comes from a low mintage of just 18,000 coins struck in which there are only four others graded finer by PCGS. 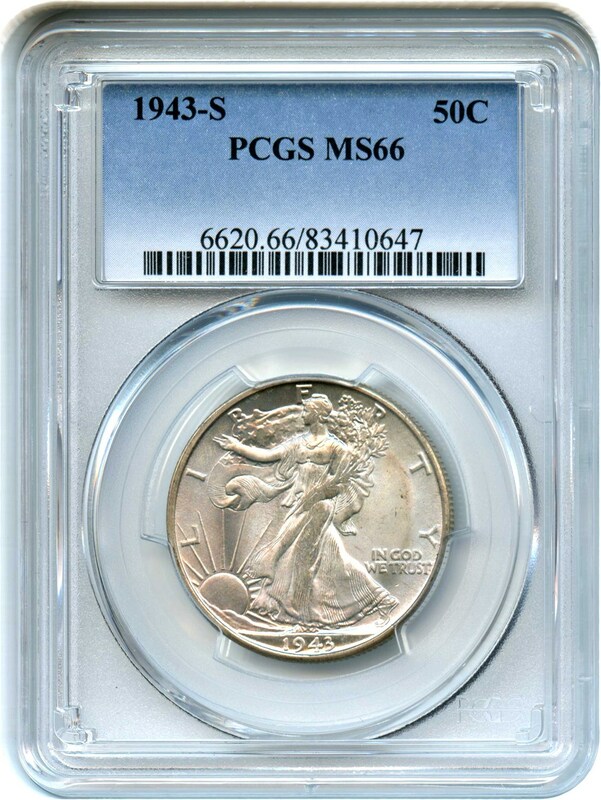 Value: The PCGS Price Guide has this coin valued at $27,000 in AU58, so this arguably under-graded CAC approved 55 is available to you via Make Offer at just $14,750! As this coin has surfaces that feature nearly any signs of wear, nice eye appeal, and CAC approval, we find this to be an excellent value. Why we love it: An ultra-gem Saint from the famous Wells Fargo Hoard that was found in Las Vegas in the 1990’s. Any Saint Gaudens issue is extremely rare and desirable in such a high grade. This coin is simply perfect as any blemishes are minimal, and the eye appeal and luster are plentiful and beautiful. There are only ten examples of this Saint Gaudens Double Eagle issue graded finer by PCGS with 101 graded the same. 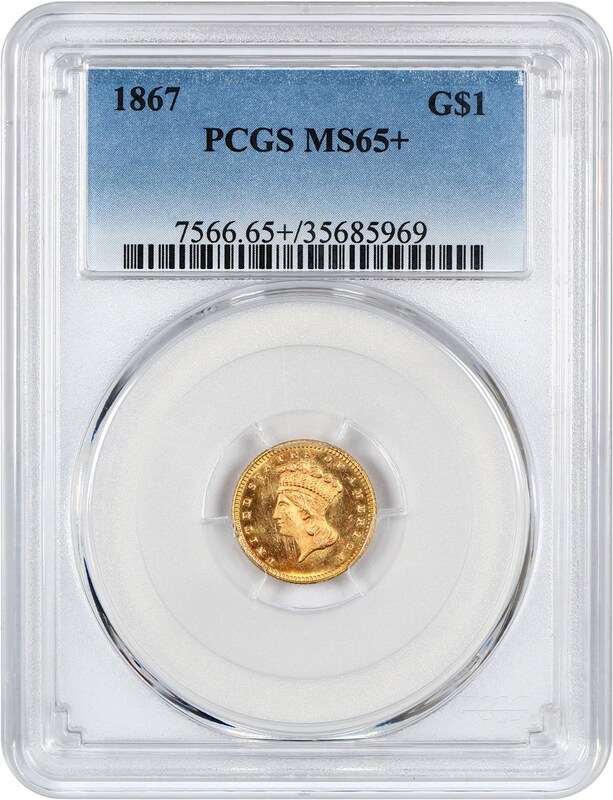 Value: The PCGS Price Guide has this coin valued at $90,000 in 69 so this nearly perfect, blemish-free 68 is available to you via Make Offer for just $22,500, making it the perfect grade for investors before the price quintuples in MS69! With blazing luster and perfect eye appeal, we think this is an exceptional offer that will not be around for long. 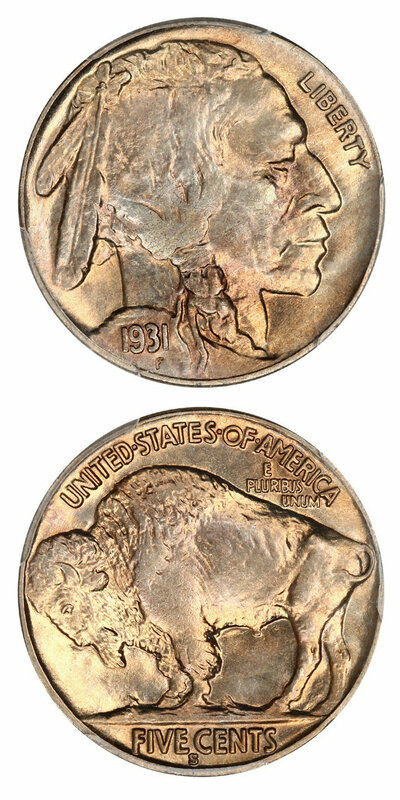 Why we love it: An attractively toned example of this fantastic Buffalo Nickel type coin that, if it were just a grade higher, would be considered a scarce date. The light rose-gold color along with such strong luster gives this gem incredible eye appeal. There are only eight examples of this Buffalo Nickel graded finer by PCGS in which all are in MS67 Holders. Value: The PCGS Price Guide has this coin valued at $650. It is available for purchase at just $525 via Make Offer! That is a $125 discount off the PCGS Price Guide value for this subtly toned gem example of this slightly better date Buffalo Nickel type coin! Why we love it: A gorgeous gem proof example of this date with strong, contrasting cameo surfaces that are super flashy and are almost free on any blemishes. This Proof Washington Quarter is tied for the finest known in existence graded by NGC with Cameo surfaces. Value: The PCGS Price Guide has this coin valued at $500. It is available for purchase at just $350 via Make Offer. That is a fair $150 discount off the PCGS Price Guide value for this stunning, nearly perfect gem example of this proof Washington Quarter! Why we love it: A popular type coin from the Walking Liberty Quarter series. This example is lovely gem with mostly white surfaces that are only subtly toned with plenty of luster. 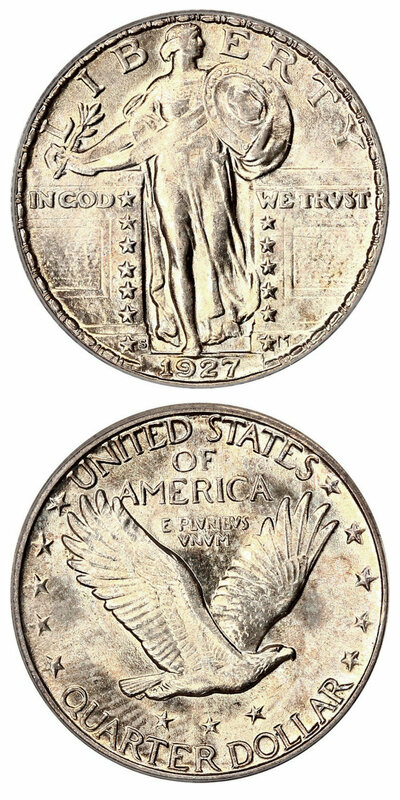 There are 42 examples of this Walking Liberty Half Dollar issue graded finer by PCGS in which all are in MS67 Holders. 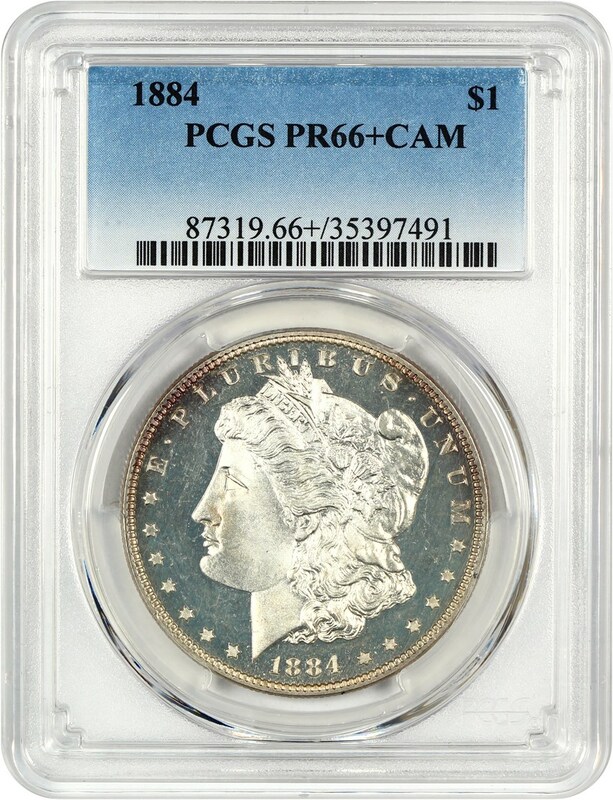 Value: The PCGS Price Guide has this coin valued at $425 but is available for purchase for $400 via Make Offer. At that price, this lustrous gem example is sure to find a new home quickly!